A trauma-healing approach to living your best life. 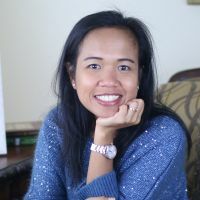 Hi my name is Joy Acaso and I show professional men and women who are struggling with low self-esteem, stress, and anxiety that’s affecting their relationships, work and home life how to quickly overcome the overwhelming, be confident in their self-worth, and cultivate the life they’ve always wanted. I am a Licensed Clinical Social Worker who is passionate about helping people confront challenges and overcome obstacles. As a South Florida local, I have been working with individuals and families in the community for over 15 years. My broad experience includes working with medical, ministerial and social service organizations, and with age groups ranging from 3 to 90. Among other things, I specialize in stress and life management issues, marriage and family problems, as well as matters of or relating to chronic illness. My therapeutic approach is centered on what matters most to the client. I believe in improving quality of life by empowering clients with tools necessary for optimum level of functioning. I have found Joy easy to communicate with and her approach and techniques to deal with my challenging situations effective and now feel like I'm more in control. Joy picked up on some things that I needed to address very quickly. I looked at my issue from one perspective, but she rapidly helped me to re-think that one. I haven't really been seeing her for very long, but I feel like I am making progress. The anonymity of the Better Help experience has made it easier (for me) to open up with Joy. She has been extremely caring and conscientious throughout my counseling. I would recommend her as a counselor for anyone who needs a little TLC and insight. Thank you for being so patient with me, listening to me when no one else seemed to listen. Joy has been fabulous! She IS a joy to work with. I feel accepted by her; I feel listened to; and it gives me hope to know I have her to text my worries and issues I want to work on in order to, hopefully, improve my awareness of why I repeat certain behaviors, so that I can stop repeating them and improve my life. She is of great help and says all the right things, she is getting me through the toughest times of my life right now so I am so glad I met her. So thanks truly! Would you like to write a review for Joy Acaso? We'd appreciate if you can spend a couple of minutes to write a short review for Joy Acaso (LCSW). This review would be shared with Joy Acaso. It may also be posted in our website or in Joy Acaso's profile but it would be anonymous and your identity would be kept completely confidential.